Southbound? 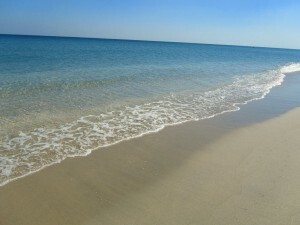 Delray Beach, Florida, Activities, Events, Dining & Shopping, The Village by The Sea, Palm Beach County, SoFlo, What’s Going On? I was on the phone with someone from Delray Beach, Florida. I finally asked…how is the weather? Well, it is a little chilly today….76 degrees!! With that in mind and before I tell you a few of the events catching my attention in Delray Beach….it is still time to come to Rehoboth Beach, Delaware and participate in the 2015 Polar Bear Plunge!! It really is a whole week-end festival…and we really did not get any snow. This event is for Special Olympics Delaware. There will be a 5K Run to The Plunge, a Pooch Plunge, Ice Sculpting Demo, Restaurant Chili Contest, Polar Ice Cream Throwdown and more for all ages…..so here is your opportunity to visit Rehoboth Beach in our Second Season. More info? 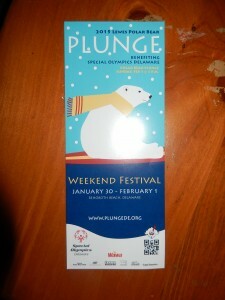 Please visit http://www.plungede.org. So, Delray Beach….What is Going On? The beach in Delray is really neat. No buildings to create shadows. 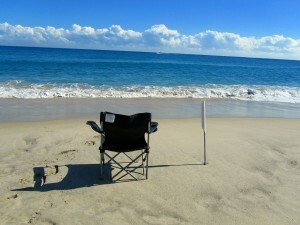 Once you park yourselves on this beach….chill out and relax!! The water is so clear. 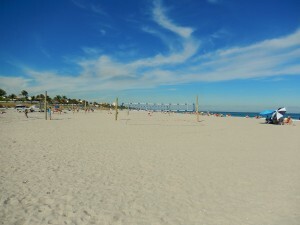 The beach is wide, with plenty of space for other activities. 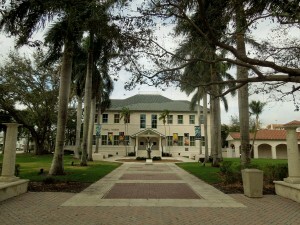 DELRAY BEACH CENTER FOR THE ARTS – Located on the corner of Atlantic and Swinton Avenues, this campus includes the Cornell Museum of Art, the Crest Theatre, the Vintage Gymnasium, the Pavilion, and the School of Creative Arts. 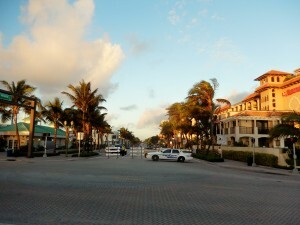 Plenty of events and exhibits throughout the year take place on this corner of Downtown Delray Beach. There are art classes on going and also about to start. 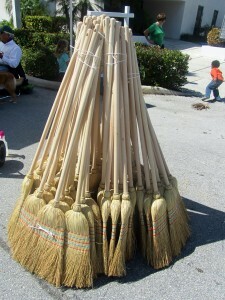 If you are interested while you are snowflaking or snowbirding in Delray, please visit http://www.delrayarts.org. Please note that The School of Creative Arts is located on the 2nd floor of the Crest Theatre. Tel. 561-243-7922, ext. 317. 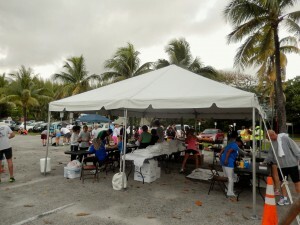 SATURDAYS – 19TH SEASON OF THE DELRAY GREEN MARKET. 9 a.m. until 2 p.m. Location? 50 NE 2nd St. on the grounds of the Old School Square. Early in the a.m. locals and visitors arrive to get first picks of produce, flowers, fresh seafood….and to listen to local entertainment, as well. 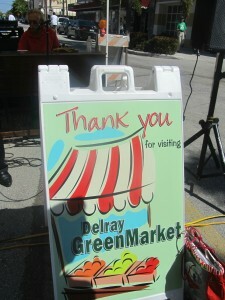 Please visit http://www.delraycra.org/market for more info., recipes, and to check their blog. During festivals, the Green Market usually relocates to SE 4th Avenue, around the corner of the Green Owl Restaurant. You won’t miss it. SATURDAY, 1/31 and SUNDAY, 2/1 – ARTISTS IN THE PARK – This is the longest running outdoor show in South Florida. Sponsored by the Delray Art League, this year marks the 50th anniversary for DAL!! Artists in the Park will be taking place this week-end at Delray Beach Center for the Arts Old School Square on the corner of Atlantic and N. Swinton Aves. The other location is at Veterans Park on Atlantic Ave. by the Intracoastal. The outdoor show begins at 10 a.m. until 4:30 p.m. For more info. and to see the schedule, please visit http://www.delrayartleague.com/dal. Note: A celebration marking the 50th Anniversary for DAL!! 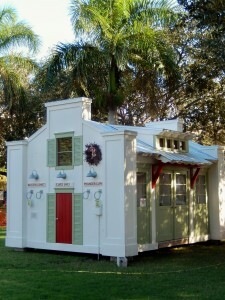 Thursday, 2/26 Plein Air Festival. You can apply online and get more info. 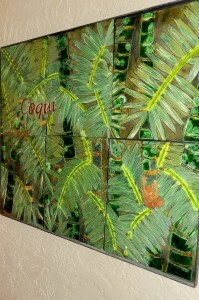 at http://www.pleinairpalmbeach.com. Friday, 2/27 through Sunday, 3/1 there will be a special 3 day art festival on the grounds of the Delray Center for the Arts on the corner of Atlantic & N. Swinton Aves., Saturday, 2/28 and Sunday, 3/1…Artist Within, and Sunday, 3/1, along with the Art Festival, there will be a Southern Dance, Magic Cards, Music by Steve Martel and the High School Art Contest. Make sure you check the websites above mentioned. 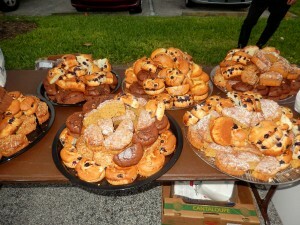 SATURDAY, 1/31 – SAVOR OUR CITY – CULINARY AND HISTORICAL WALKING TOURS . 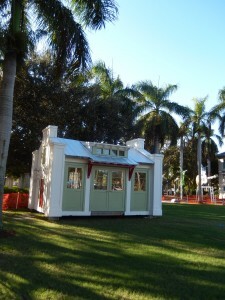 These tours are taking places in walkable neighborhoods in Delray Beach, Boca Raton, and Palm Beach Gardens. On Saturday a Taste of Atlantic Ave will take place. 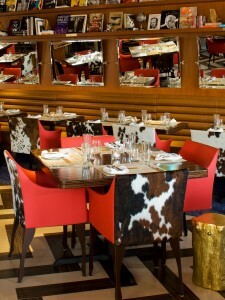 Reservations are a must by calling 800-979-3370 or by visiting http://www.savorourcity.com. Tour begins at 11 1.m. and takes about 3 hours. You will walk and you will taste. SATURDAY, 1/31 – DELRAY YACHT CRUISES – DINNER CRUISE. IT BEGINS AT 6 P.M. UNTIL 8 P.M. $60/person. Please call 561-243-0686. 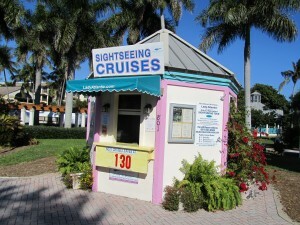 Touring the intracoastal northbound or southbound, Delray Beach Cruises are a great way to spend an afternoon or early evening and get to know The Village by the Sea. 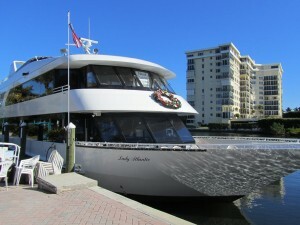 Please visit http://www.delraybeachcruises.com. FRIDAY, 2/6, THROUGH SUNDAY, 2/8 – 16TH ANNUAL DELRAY BEACH GARLIC FEST – Gourmet food, entertainment, friendly cooking competition…the festival celebrates all things garlic. For tickets and more info., please visit http://www.dbgarlicfest.com. 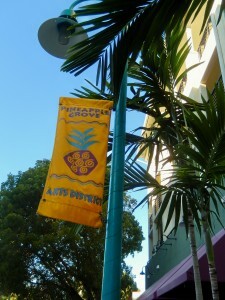 Plenty of shops up and down Atlantic Avenue and also in the Art District of Pineapple Grove which is 2nd Ave. 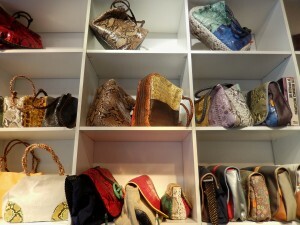 If you like unique handbags, made in Delray Beach, you might want to visit FURST. It is located at 123 2nd Ave. Tel. 561-272-6422. 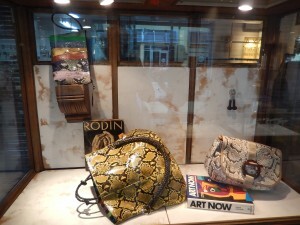 Ronald Furst makes his handbags right in the shop, and he will be more than happy to explain his craft. Handmade jewelry, as well. Delray Beach is a dining destination. The majority of the restaurants offer outdoor dining or “at sidewalk dining”, as well. So much fun to sit outside, and more so if you are arriving during the cold winter up north. 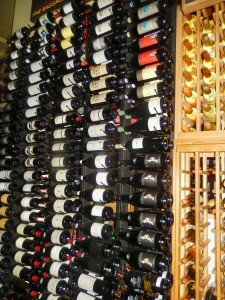 JOSEPH’S WINE BAR & CAFE – Located at 200 N.E. 2nd Avenue #107 at City Walk. Tel. 561-272-6100. Website? 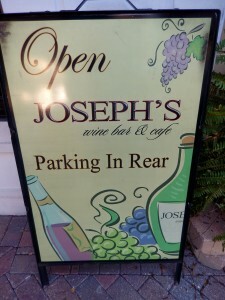 http://www.josephswinebar.com. Stopping at Joseph’s on my last visit and having to tell him that my husband, John, had passed away was hard. So many memories of sitting outside having something to eat…and John and Joseph smoking a cigar once in awhile. He could not believe it and pictured him sitting at his favorite chair. Inside, the restaurant is so pretty and elegant. It’s your choice, dining indoors or al fresco. My friend, Cindi and I decided to have a little “happy hour” and the Mediterranean platter was our choice. 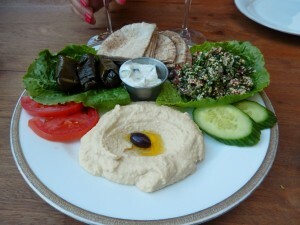 Humus, eggplant dip, tabouli, and stuffed grape leaves, along with whole wheat pita. A little wine and a lot of friendly conversation. Comments Off on Southbound? 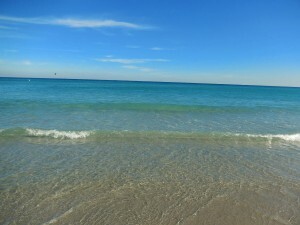 Delray Beach, Florida, Activities, Events, Dining & Shopping, The Village by The Sea, Palm Beach County, SoFlo, What’s Going On? 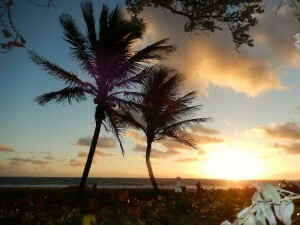 Over the years Delray Beach, Florida, has been a destination for my family. 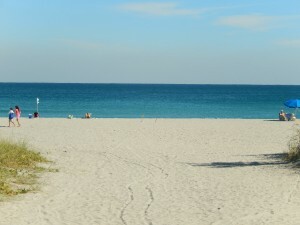 I might add that I visited Delray not only in the winter but throughout the year. Easy to get to from the Mid-Atlantic States. 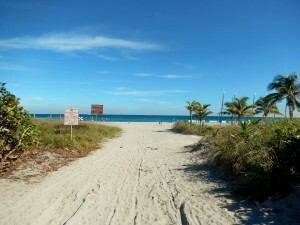 What first appealed to us was the fact that Delray Beach has unobstructed beaches. 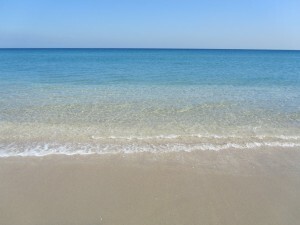 The water is crystal clear and the beach…..oh, soooo wide!! You can tell my mind is wondering to warm places as winter begins today, Sunday, December 21st. It’s cold but I am not tired of it yet. 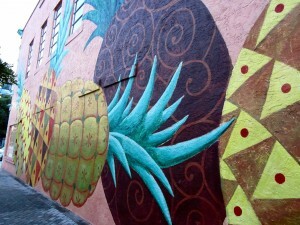 Delray Beach is quaint and charm. It is known as the Village by the Sea. It is not a manmade town, it always was there waiting for all of us to discover it. For many years it stayed dormant but not anymore. It is diverse, and it does have it all…great weather, shops, restaurants, artists, entertainment and history. 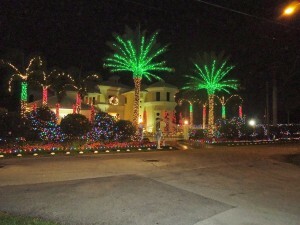 Delray can celebrate the holidays like no other town in South Florida. 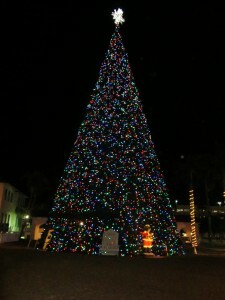 The 100 ft. Christmas Tree can be seen for miles. 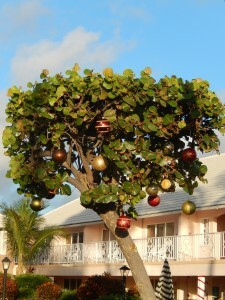 And, even the seagrape trees get decorated. 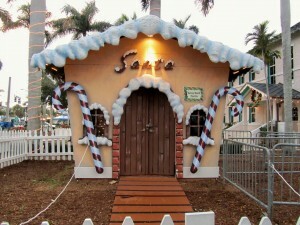 Out with the old and in with the new…..I still remember Santa’s House. The new one more modern to fit the times. Santa will be visiting today from 6 p.m. until 10 p.m.
Delray might be quiet early in the a.m. but give it time as people start strolling, jogging, and power walking ready for a day in town. 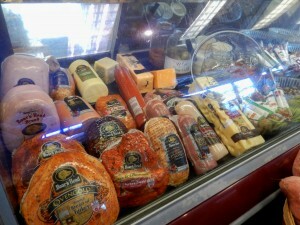 Collado’s Market is located at 3416 S. Federal Highway in Delray Beach. Tel. 561-276-1866. They are open Monday through Thursday from 7 a.m. to 7 p.m. Saturday from 7 a.m. to 5 p.m. and Sunday from 10 a.m. until 5 p.m. 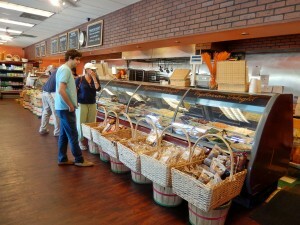 It is a family owned market, and they do cater. Driving south from Linton Blvd. on Federal they are 1.4 miles on the right just after Lindell Blvd. and Walgreens. And, if you are heading north on Federal they are 2 miles north of Yamato. Make a left turn just before Lindell Blvd. 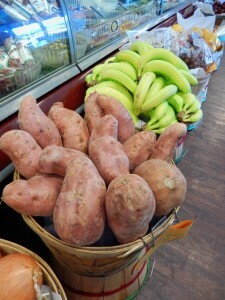 New super market have opened in Delray Beach, but Collado’s Market has that personal attention, and quick in and out access. Gourmet platters, baked goods, sandwiches, salads, and wraps. Lunch or dinner entrees are always ready to go. Specialty orders are welcomed…just give them a call. 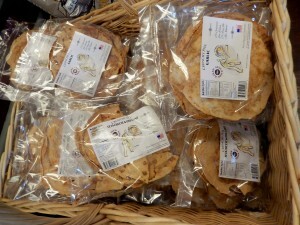 Boar’s Head…gluten free!! In-house wine sommelier can direct you the a unique selection of imported organic wines. Fresh vegetables and always freshly squeezed orange juice! Have a great Stress Free Vacation!! Destination? The Office, Delray Beach, Florida, Restaurant, Summer 2014 Menu!! 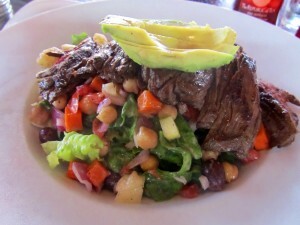 Delray Beach, Year-Round, South Florida, Palm Beach County Eats!! 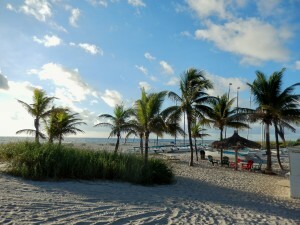 Delray Beach, Florida is a destination….it has been for years. It is a “Village by The Sea”, where shops, beaches, recreational sports are at your fingertips…..Foodies take notice: Delray is your Destination, as well!! So many restaurants with the majority having outdoor seating. 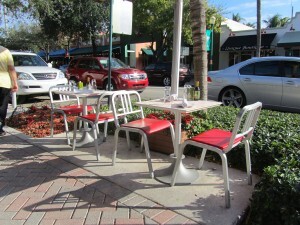 When in Delray having that perfect table outdoors is priceless. Conversation with friends, people watching, sipping and dining, this town is an expert on this. 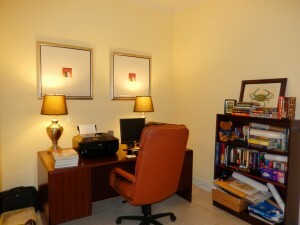 The Office in Delray Beach has a strategic corner. 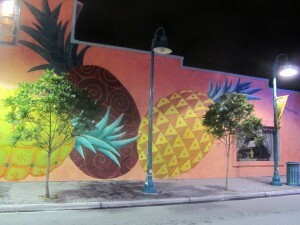 Atlantic Avenue and 2nd Street, which is also the entrance to Pineapple Grove, the Arts District of Delray. It used to be that Delray Beach was a snowbird’s paradise. It still is….but Delray Beach is more than that. It is a year-round resort. 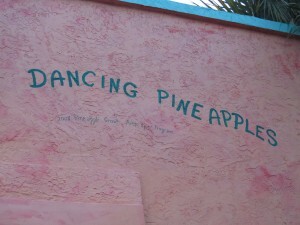 Just like any other resort area, the restaurants change their menus according to the seasons. The Office is located at 201 East Atlantic Avenue. At this time of the year it is offering an inventive array of Summer Menu Specials through October 31, 2014, along with Sunday Brunch and expanded Happy Hours. 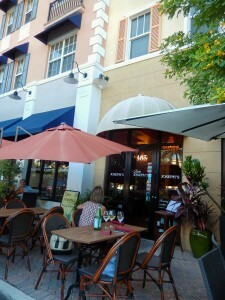 It is the time to explore the restaurants in Delray…..so let me introduce you to The Office, once again. The Office serves delectable gourmert comfort food. The setting is remniscent of a luxurious home library, for lunch and dinner daily. Besides their summer specials, they will also have the regular a la carte menu available for lunch and dinner throughout this period. Lunch is served from 11:30 a.m. until 3:00 p.m., Monday through Saturday. 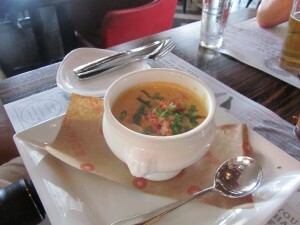 Diners can opt for a soup and sandwich, or a soup and salad, for $12.95 per person. Over the years I have sampled soups, salads, and sandwiches and they have all been so yummy!! Monday is BBQ Night from 5 p.m. until closing time. Check these offerings: Baby Back Ribs served with potato salad for $20.95. Half of a mango-BBQ Chicken with sweet mashed potatoes for $18.95. A Kosher Hot Dog, served with French fries and cole slaw for $9.95. Southern Comfort Pulled Port Sliders for $10. Catch of the Day Sandwich for market price, and BBQ Burger Sliders for $12.95. House drinks on Monday afternoons and evenings, House Drinks and Craft Beers will be half price from 3 p.m. until closing. Tuesday evenings from 5 p.m. until closing, diners can indulge in a Seafood Fiesta!! Daily Seafood Soup for $8.00; Seafood Paella, for $24.95; Cioppino, for $22.95. Seafood Salad Roll of lobster and shrimp, served with tomatoes, Bibb lettuce, and avocado, on a French baguette, for $20.95. Catch of the Day, served with fresh veggies at Market Price. And, Fancy Mc’n Cheese for $15. On Tuesday evenings, when diners order an entree from the Seafood Fiesta menu, they can also enjoy half-price bottles of wine that are priced at $49 or less. Wednesday evenings from 5 p.m. until closing, diners can revel in Burger and Craft Beer Madness! 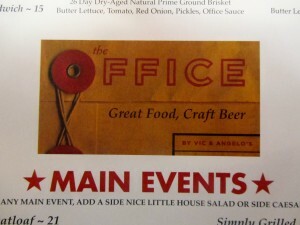 The Office Burger Challenge will truly appeal to hearty eaters. They will be serving a 4-pound dish, comprised of a variety of yummy menu items, and if a diner can finish this dish The Office will buy the diner’s dinner!! The dish will change slightly, over the summer, but one version of the dish will include 2 burger patties, one waffle, two fried eggs, tomatoes, lettuce, onions, cheese, bacon, and French fries!!! Besides, on Wednesday evenings, The Office will also be serving up a fabulous array of inventive burgers, including Salmon Burger, for $16, the Turkey Burger for $16, the Lamb Burger for $16 and the Juicy Lucy Burger, which is topped with lobster Mac ‘n Cheese and blue cheese for $20. All the burgers will be served with French fries. When customers order one of these burgers, as well as The Office Burger Challenge, they can enjoy half-off of all draft beers. On Thursday evenings, also starting at 5 p.m., feast on Surf ‘n Turf. This divine dish features grilled Rib eye steak, half of a Maine lobster tail, and grilled veggies. Any diners, ordering Surf ‘ Turf, can also enjoy a delectable dessert for $5, plus half-off any bottle of wine for $49 or less. Sunday Brunch is new for The Office, and it started on June 1st. 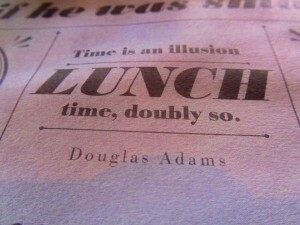 It is served from 11 a.m. until 3 p.m. The brunch menu will include lobster or crab Eggs Benedict for $26, as well as The Avenue Breakfast; 3 eggs, any style, hash browns, bacon, buttered toast, and 2 pancakes, for $16. The Atlantic Lox Sandwich with smoked salmon, cream cheese, tomatoes, lettuce, onions, and capers, served on a ciabatta bread for $16; Belgian waffles for $10, and blueberry pancakes for $10. Additionally, during Sunday Brunchy, diners can enjoy “Bottomless” Bellinis, Bloody Marys, Mimosas, and Champagne, for $15 per person. 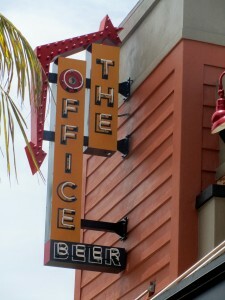 The Office Happy Hours have been expanded, from 3 p.m. until 7 p.m. and from 10 p.m. until closing time, through October. Customers can enjoy 50% off a select array of libations and appetizers, at both the indoor and outdoor bars, throughout the dining room, from a summer Happy Hour Menu. Last, but not least, patrons can enjoy a refreshing array of Summer Specialty Cocktails that have been created by GM Marcello Buruiana. The Orange Splash, the Strawberry Punch, Red or White Sangria, the Watermelon Gin Fizz, and The Office Pina Colada, are all $10 per cocktail, and will be available throughout the day and evening between June and October, 2014. So, what else do you want to know? The Office is open daily. The bar is open until midnight, Sunday through Thursday, and until 2 a.m. on Friday and Saturday evenings. You may call for reservations and info. at 561-276-3600. 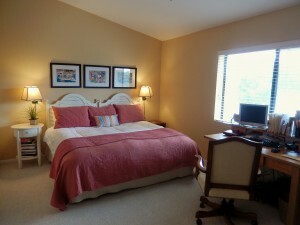 Or, visit http://www.theofficedelray.com. 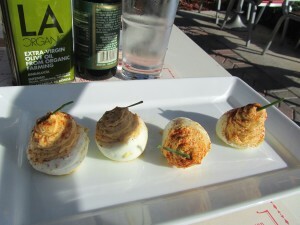 And, if the menu offers…..Deviled Eggs!! They are awesome!! Comments Off on Destination? The Office, Delray Beach, Florida, Restaurant, Summer 2014 Menu!! 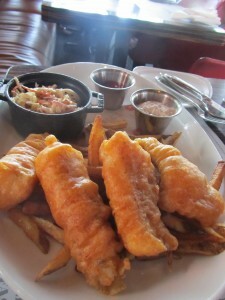 Delray Beach, Year-Round, South Florida, Palm Beach County Eats!! I have been to my friend’s townhouse so many times. And, she is selling it through Ann Alexander & Associates. Tel. 561-573-7168. Website? http://www.annalexanderfl.com. When my friends, Cindi, and Madelon and I stopped last week to say hello and have a bite to eat, I decided that even though she has a realtor, word of mouth through social media has proven that it does get the message through. We are all so connected in many ways….at times too many. 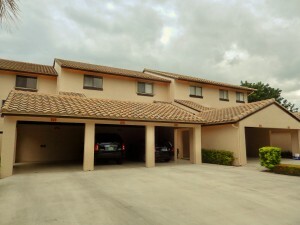 Nevertheless, if you are looking in South Florida, you might want to check this property out. Anita’s condo is at 210 Captains #716. 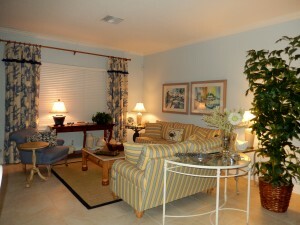 The community provides, boating, tennis, swimming pools, yacht club, exercise facility and 24 hr. guard service. The selling price does not include all these facilities, though. 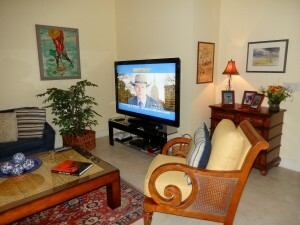 The listing price is $376,000. 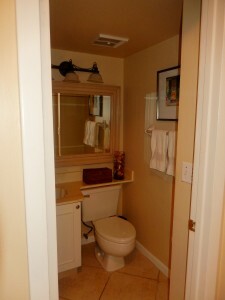 The condo has 2 bedrooms, 2 baths, and one half bath on the first floor. It is 1,749 square feet. There are also stairs to have in mind. Captain’s Walk is very well maintained. We arrived and parked in the guests parking spaces. 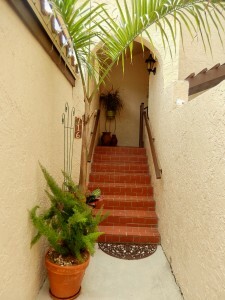 Her entry is quaint and we were so glad to see plants thriving in the Florida sunshine. After the winter we have had up north seeing color was so welcoming. Her condo is bright and with plenty of cross ventilation. To the right the half bath, followed by the kitchen. 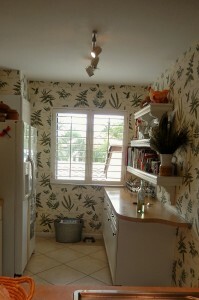 The bright kitchen has a pass through to the spacious dining/living area. 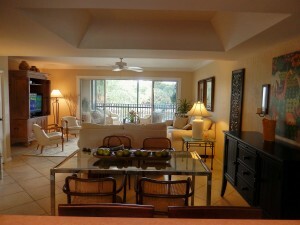 Other angles from the living/dining area. 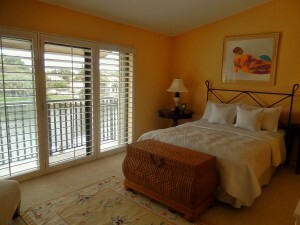 The sliding doors lead to a 14 x 8 screened porch, providing ample views of the C-15 Canal. 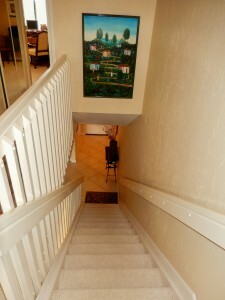 Upstairs there are 2 bedrooms and 2 baths. It is an easy condo to maneuver. Going back downstairs to the main living area. 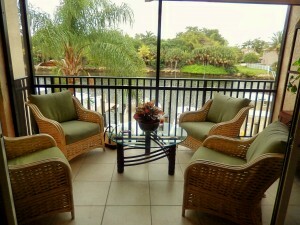 Please note that there are 2 HOA’s that are paid…Captains Walk and Pelican Harbor. One for $270 and one for $276.00. If you are interested, please call Ann Alexander & Associates to the tel. number above given and make an appt. to tour Anita’s Place. It was early in the morning on Saturday, November 23rd. 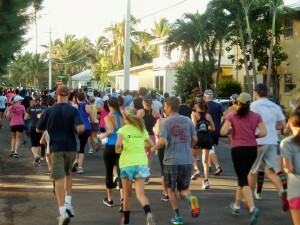 It has been happening every year for the past 27 years, when Delray Beach gets ready for a Turkey Trot. It is a benefit for the Keith Straghn Feed the Hungry Thanksgiving Drive for the needy families of Delray Beach. So, spectators, runners, walkers and trotters were ready. 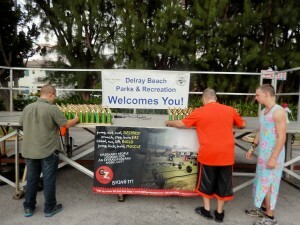 This event was sponsored by the City of Delray Beach. 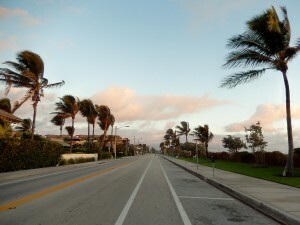 There was not a soul on A1A…that was hard to believe. Usually, on a holiday week-end, there are plenty already walking or trying to get the best parking spaces for another stay at the gorgeous beach in Delray. 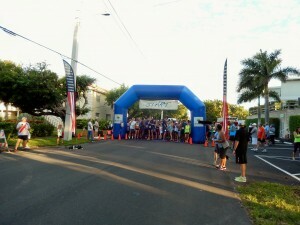 And the corner of A1A and Atlantic Avenue was blocked off for the runners. The destination where all were located was 340 S. Ocean Blvd. at Anchor Park. 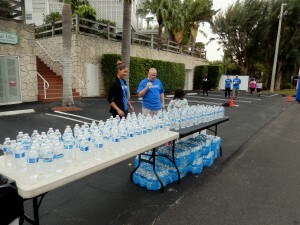 The runners and walkers were checking in. 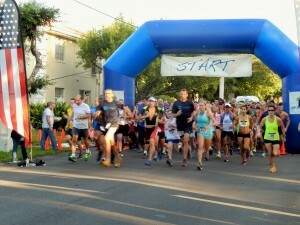 The actual race had a starting time of 7:30 a.m. on Gleason. 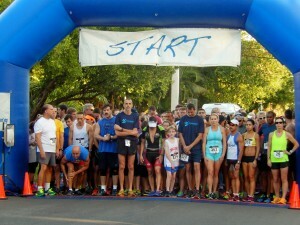 This year there were over 500 participants, fundraising for those less fortunate. Mark your calendars because this race happens the Saturday before Thanksgiving. More info? Please call Keith Straghn at 561-305-1744. 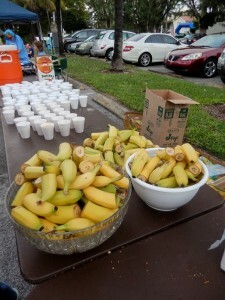 And remember to stop back for some fruit and goodies after the race. 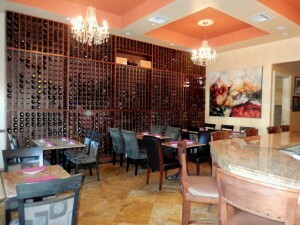 In the heart of the Art District of Delray Beach, Florida….Pineapple Grove, Brule Bistro has made a name for itself for serving delicious food with amazing flavors in a casual atmosphere…an extensive wine list will make any wine lover happy. 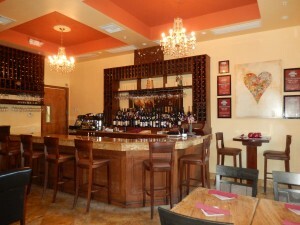 Brule Bistro is located at 200 NE 2nd Ave., Delray Beach, FL 33483 Tel. 561-274-2046 Website? 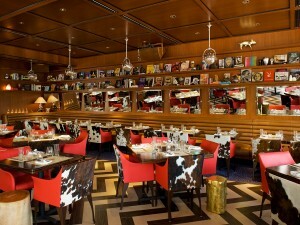 http://www.brulebistro.com. Find them on Facebook, as well. Our big decision was…inside or out? My friend, Anita had never been and she decided she wanted to capture the vibe of the restaurant…sitting inside would be a must. JD opened the door and he immediately became our server. With a big smile and plenty of good answers to our questions, not to mention his suggestions, we knew we were in good hands. 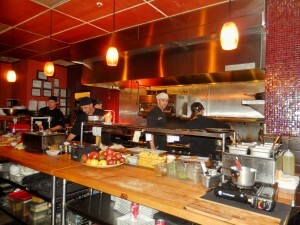 We sat near the open kitchen….we wanted to see the comings and goings of a busy restaurant. The chefs were definitely, ready!! You know the customers are having fun when the constant chatter, and the background music had everyone in a good mood…plenty of smiles. 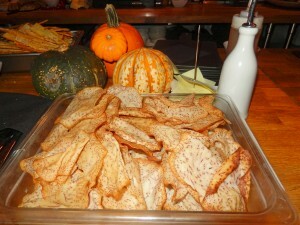 Taro Chips looked beautiful waiting to be served. 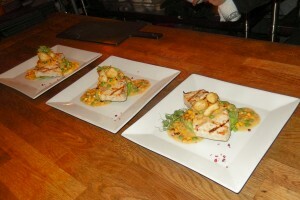 The swordfish looked fantastic. I was trying to make a decision. 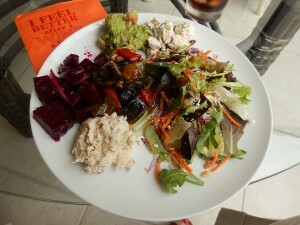 Delray Beach is a dining destination in South Florida. Who would have thought 20 years ago that this Village by the Sea would be the talk of Palm Beach County. Great food, plenty of entertainment, lots of shops…the beach is…well, you have to experience it. 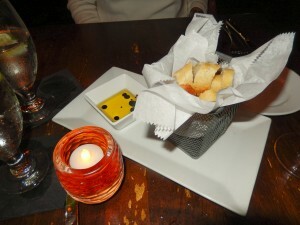 Our dining event was starting….first a little bread to get us going, olive oil and balsamic reduction. 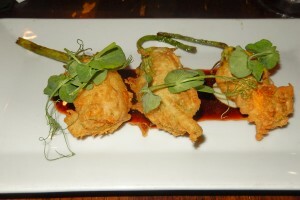 An appetizer of Pontano Farms Zucchini Blossoms, shiitake, goat cheese, tarragon aioli, and port reduction. Crispy on the outside with all those other ingredients making my taste buds do a little dance. 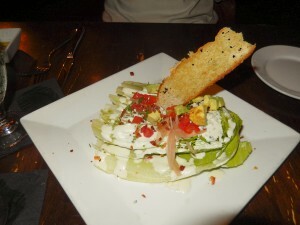 An Artisan Wedge Salad was Anita’s choice, with Romain, bacon, avocado, pickled shallot, tomato concasse, creamy bleu cheese vinaigrette. 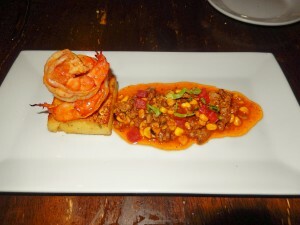 Shrimp & Grits, jumbo prawns, house chorizo, on crispy polenta was an appetizer which my friend, Anita, decided to order for dinner. She loved it. 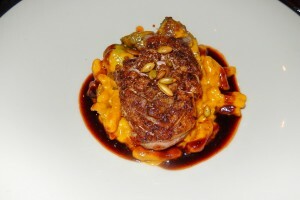 JD, our server thought the Tangier Duck Breast & Roasted Pumpkin Cavatelli, was a wonderful dish, full of flavor. He was right. It had Brussels sprouts, duck bacon, toasted pumpkin seeds, and a spiced apple reduction. Should we even consider a sweet ending? 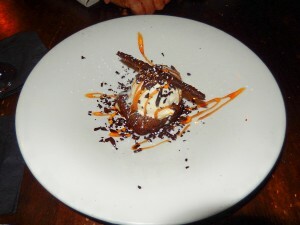 Of course, the Smoked Sea Salt and Caramel Brownie with vanilla gelato….was outstanding. Just the right amount too…and perfect for sharing, when you know you have had enough to eat. So many choices and where to go. Word of mouth is something I take seriously. At times I agree with the suggestions, and other times, I don’t, but that is what makes it interesting. Have a great time….Talk to you later. Some coastal resorts like Rehoboth Beach, and all the Delaware Beaches, are now in their Second Season, while others, like Delray Beach, Florida, become a winter’s destination for many you want to escape the colder weather ahead. 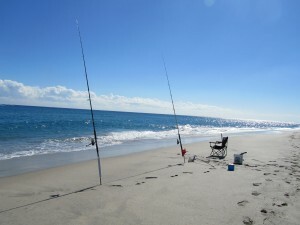 Pretty soon these will be every day scenes in Delray Beach, Florida. 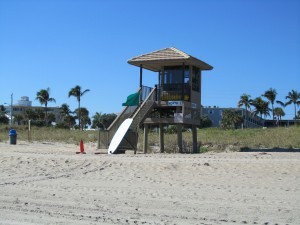 Delray Beach is one of those towns in South Florida that is very accessible. Two major airports, are close to this Village by the Sea. 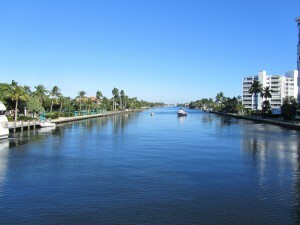 Known also as the most small fun town in the U.S., Delray Beach offers its visitors amazing beaches, completely unobstructed, a downtown full of shops and restaurants and plenty of music and entertainment, as well. Shopping local in these towns mean that you support the local economy. 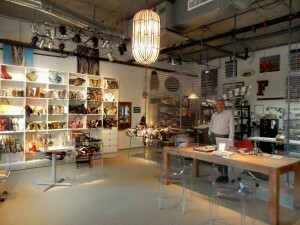 The merchants in Delray Beach and the artists are the heart of the community. Shop Small is a movement to celebrate small businesses every day and to help communities thrive. Delray Beach invites you to Shop Small throughout the month of November. On Saturday, November 30th is Small Business Saturday. With over 400 small businesses in Downtown Delray Beach, you will have plenty to choose from….the holidays are fast approaching. 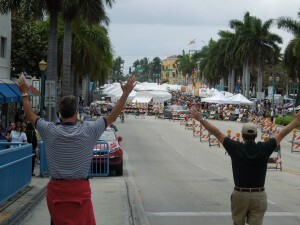 Delray Beach is also a town of many festivals….so stay tuned!! Thursday, 11/7 there is a Grand Opening Celebration for Ginjer Boutique from 5 p.m. until 7 p.m. The shop is located at 133 E. Atlantic Ave. Tel. 561-272-1033. Friday, 11/8 – Free Friday Night Concert from 7:30 p.m. until 10 p.m. at the Outdoor Pavilion at the Delray Center for the Arts at 51 N. Swinton. 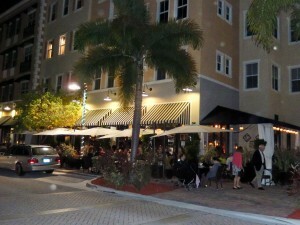 Looking for restaurants in Delray Beach? 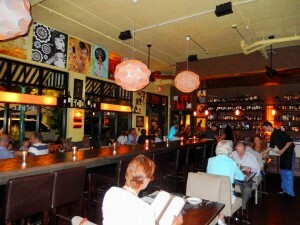 Check http://www.downtowndelraybeach.com/dining. You can do as much as you want to, or as little….that’s its beauty!! 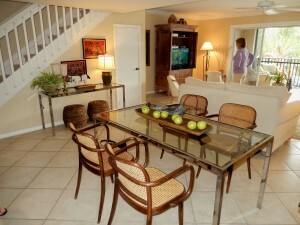 Real Estate, Delray Beach, Florida, Coralina Village, Walk to Beach, Bike and Walk to Downtown Delray Beach, 1024 Coralina is For Sale, The Village by The Sea, Palm Beach County, South Florida, It’s a Lifestyle!! 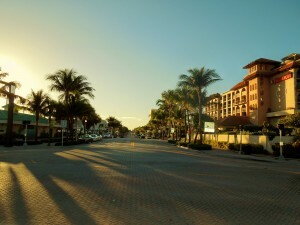 Delray Beach, Florida, is also known as The Village by The Sea. This town is a destination for many. Some go on vacation, others make it their home during the cold northeast winters. 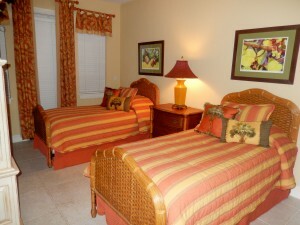 It is so easy to get to; 2 airports are within 30 minutes from Delray. 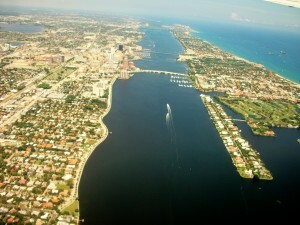 Ft. Lauderdale and Palm Beach International. 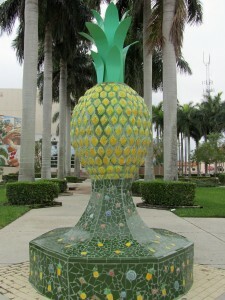 When you arrive in Delray Beach, you will see the big Pineapple at the entrance of town….it welcomes Visitors to this Village by the Sea. 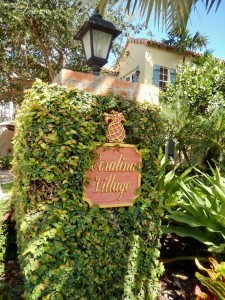 Coralina Village is a complex of a dozen townhouses. It is located a few blocks south from the famous Atlantic Avenue, where all the restaurants, shops, art galleries, and bars are located. 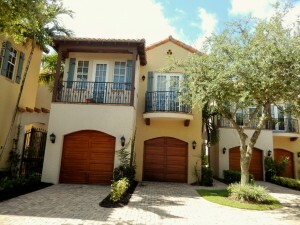 You can look and look, but I can tell you that you will not find another complex in Delray with this type of location. 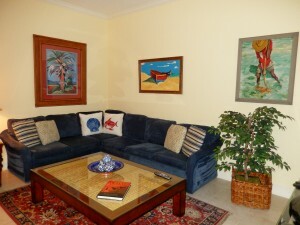 Mediterranean style, by the beach, and it does have its own private pool. The southern exposure makes this unit light and airy, with no buildings obstructing its backyard. 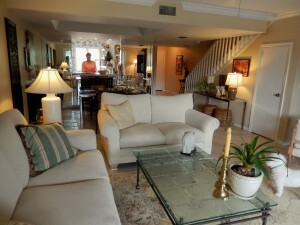 For Sale: 1024 Coralina, Delray Beach, Florida, 33483. 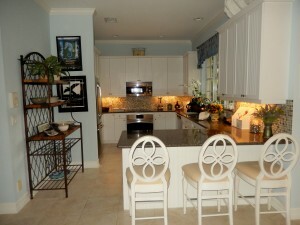 This property is listed with Kelley Lake Johnson of Tauriello & Co., located in the heart of Delray Beach. Her tel. 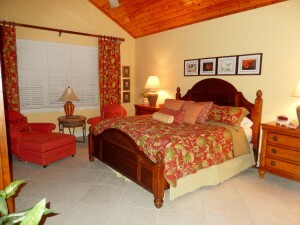 is 561-703-3839. 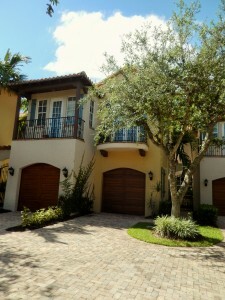 To see the photos and virtual tour, please visit http://www.tauriello.com/new_listings.php. It is a turn-key unit. 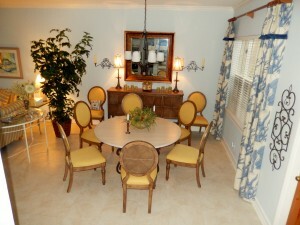 All furniture is included….even the spices. All you need is your toothbrush and a few personal items. 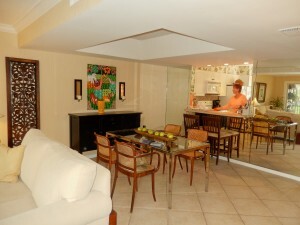 Living, dining, kitchen, den and 1/2 bath are all on the first floor. 1024 Coralina is unique, because even though all townhouses have 2 car garages, this one only has 1 1/2 garages, due to the fact that the owners made an office out of half of the garage for additional space inside. Upstairs the laundry room, master bedroom (and bathroom) with tongue and groove ceiling, and 2 guests bedrooms sharing a bathroom. 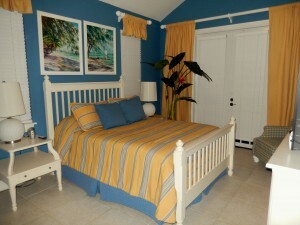 Each bedroom has its own balcony, as well. 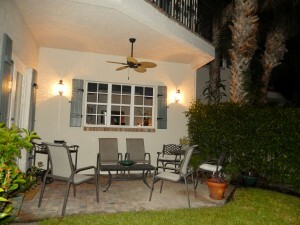 A patio and yard in the back is the perfect spot early in the morning, early in the evening or eating al fresco. And, during March, the gardenia bush is gorgeous. 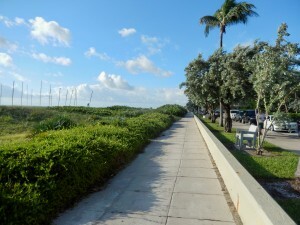 Since the beach is only a block away, it is the ideal setting for an early walk or jog. 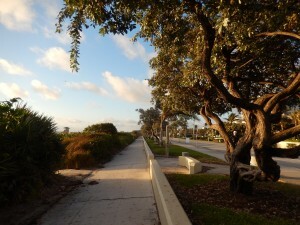 You can exercise and walk all morning long, right by the beach on A1A. It has been said that the mark of a Great real estate agent isn’t how Many houses he or she shows you, it’s how Few!! The realtor who will find the right house for you is the agent who will listen to you…what you need, and what you would want to spend. He or she will also know what you’ve got your heart set on and what will, actually, make you crazy….so, what did you say you were looking for? Comments Off on Real Estate, Delray Beach, Florida, Coralina Village, Walk to Beach, Bike and Walk to Downtown Delray Beach, 1024 Coralina is For Sale, The Village by The Sea, Palm Beach County, South Florida, It’s a Lifestyle! !